There are times when people feel a need for some changes in their life. These changes might be absolutely dramatic or indicate a slight shift within the same field. 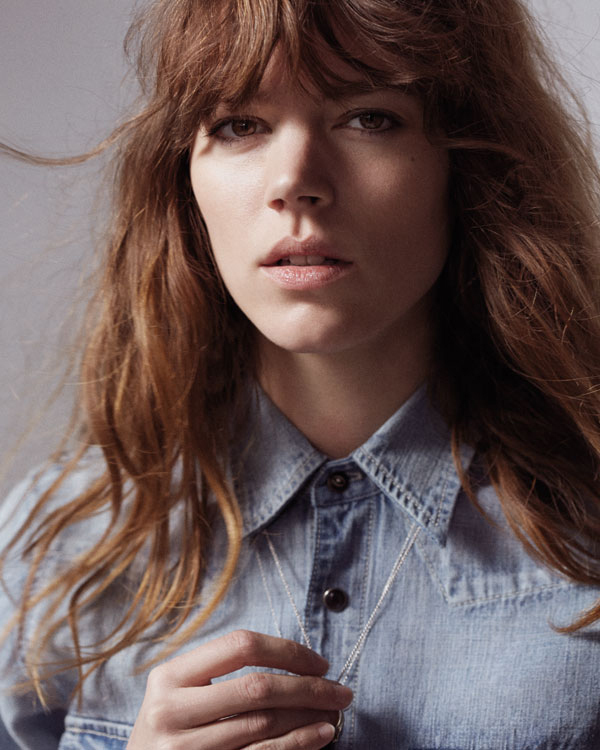 Freja Beha Erichsen, who is known for her modeling career, decided to approach a different side of the fashion sphere and, for once, became a designer. She launched a capsule collection for the brand Mother. The Danish model designed a simple yet stylish line of clothing pieces for the online fashion retailer. I think the collection is very true to my style.., my goal was to simply make things I wanted to wear. After finding fits and ideas for jeans, such as the more regular straight-legged jeans, but also the jeans with zips and pant-pockets, it became a process to get the blackest black for instance and experimenting with different types of dye in order to find one that lasts the best and remains the colour after several washes. One thing about the new collection worth being mentioned is that 10 per cent of each sale will go towards Doctors Without Borders, the charity organization that provides assitances to over 70 countries in the world. So this collection is not just a line of saucy and trendy items, it is our input into the development of the society. I’m not a designer. I wanted to do something that I knew I could do. Denim should always be comfortable, jeans should protect you. They are workwear. I was really interested in the different fabrics, some are much heavier than others, but I wanted to stay true to what I would wear. The collection includes a wide range of skinny jeans as well as shirts and shorts. You will totally fall in love with all the items created by the Danish beauty. I, personally, fell for loosey navy sweatshirt paired with torn denim shorts. This particular look is very inelaborate, yet there is definitely something yuammy about it. 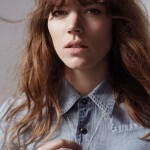 Freja Beha Erichsen obviously enjoyed both her new amplua and the collaboration with Mother brand.